On a sweet tree-lined cul-de-sac with peek-a-boo views of the Bay, this oasis away from the world tells the story of comfort. 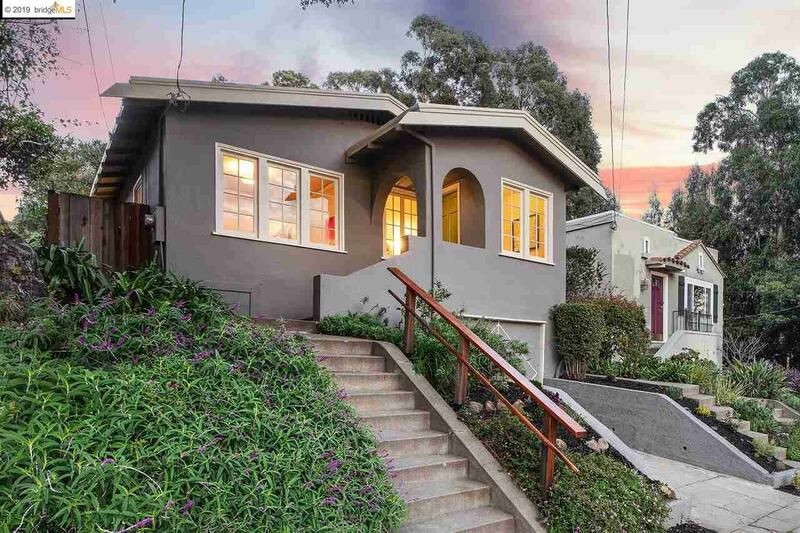 The light-filled California Bungalow has a spacious master suite with a clawfoot soaking tub and pair of closets. There is an updated kitchen with ample storage and a level yard surrounded by beautiful mature trees that invite the party indoors and out. Whether you are project-minded or simply enjoy an abundance of storage, the basement provides you with convenience, flexibility and a bonus partial bath. This two bed and two bath home is nestled between the coveted Laurel and Dimond Districts. The Laurel neighborhood is known for its sense of community. Meander to Farmer Joe's for milk and the Sequoia Diner for brunch. Regional parks and trails are minutes away. There are many nearby public transit options between BART, Wi-Fi enabled commuter buses and Casual Carpool.